For over four decades, FIU has positioned itself as one of South Florida's anchor institutions by solving some of the greatest challenges of our time. We are dedicated to enriching the lives of the local and global community. With a student body of nearly 54,000, we are among the top 10 largest universities in the nation and have collectively graduated more than 200,000 alumni, 115,000 of whom live and work in South Florida. 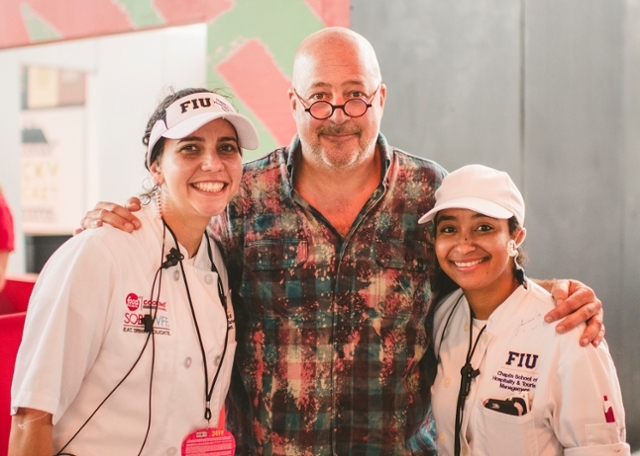 One of the country’s most prestigious gourmet gatherings, the Food Network & Cooking Channel South Beach Wine & Food Festival provides real-world opportunities for students to gain hands-on experience in hospitality, including staffing the star-studded events and working alongside the world’s best culinary talent and food and beverage industry leaders. Additionally, it has raised more than $28 million since 2002 in support of the school, including student scholarships, construction of state-of-the-art facilities, faculty advancement, and education innovation in the fields of hospitality and tourism management. Visit rankings and facts for more information.